Mobile devices help us function. From a sales perspective, they are driving traffic to websites and businesses of all kinds. That means content marketing strategies need to be updated to include mobile devices. You need to make sure your marketing content is accessible to them. The biggest thing to remember about mobile content marketing is that mobile users are visual users. They want to quickly find relevant information and see it. They do not have time to read through a site to find what they are seeking. Small screens and time constraints make it difficult to scroll to find information. 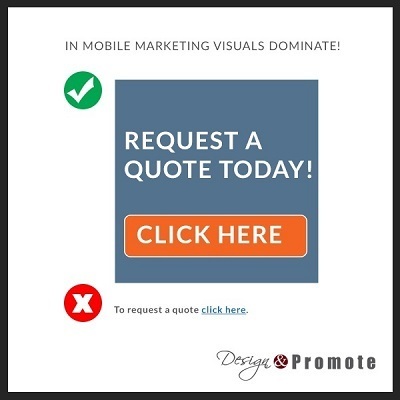 With this in mind, mobile content should be highly visual. Use lots of images, videos, virtual tours and photos. Consider hyperlinking an image instead of hyperlinking text. Along the same line as hyperlinking an image, you also need to make your site touch-friendly. You shouldn’t have tightly spaced links, because it’s harder to hit links with your finger, than with a cursor. This means links that are placed too close together can be difficult to select, which only frustrates users and drives them away. Follow the guidelines provided by mobile platforms to size your images and touch targets properly for mobile devices. 1. Keep It Local. Mobile devices are used everywhere; they’re used at home, work, school, and on the road. People use their mobile devises as a quick and easy way to find local information. Use this knowledge to your benefit and make sure local users can find your content. A good way to do this is to start using Google Trends. This will help you discover exactly what and how users are searching, right down to the wording used in the search. Once you are armed with the right terminology, you can include it in your content and attract a geo-specific audience. 2. Make It Available. Mobile content must be accessible and responsive 24/7. If it isn’t, the user will leave the site very quickly to find content that is accessible to them. Content should be available for every mobile platform and device. It should also be consistent across platforms. Your website should be just as accessible on mobile devices, as it is from a tablet and vice versa. And most importantly, all content should be available 24/7. Consider updating your website with a responsive design that scales itself to a viewer’s device. 3. Add Videos. More than any other activity, people watch videos on their mobile devices the most. So, it only makes sense to add videos to your content, if you want to capture a mobile audience. Mobile users have short attention spans, so keep the videos short and sweet. Venture beyond YouTube, use Vine and Instagram to provide short and sweet video content. 4. Make It Easy. Mobile users are on-the-go. Make it easy for them to share your content with friends, family and co-workers from anywhere. Add share buttons, embed links, and use plugins to encourage sharing. Sharing boosts your web traffic, which also boosts your online visibility. 5. Learn To Love Hashtags. You’ll need to learn how to use hashtags, if you want to dominate mobile content marketing. These tags help viewers find and share your content across platforms. Mobile content marketing presents tremendous opportunity and, as a result, is becoming a critical part of SEO and online marketing strategies. The visual value of Google+, Yelp, Facebook, Instagram, and Pinterest is too large to ignore, particularly in light of how mobile users consume data. Opportunity is knocking. If you want to tap into this ever-growing audience, contact Design & Promote for advice and ideas about improving your mobile content.